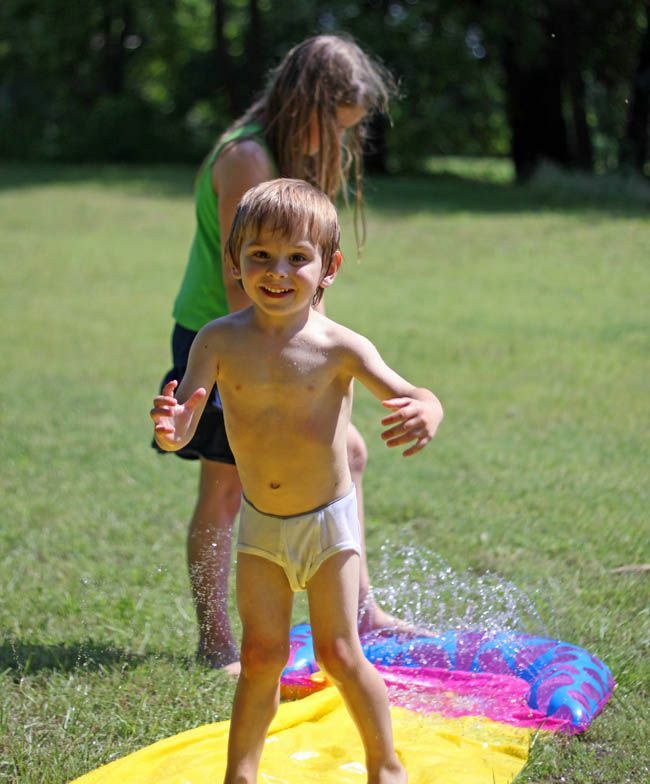 Hot enough to play in the sprinkler and slip & slide in your big brother's tighty whities, that are a few sizes too big, which are then loosie whities, but that doesn't have the same ring to it. Hot enough to just stay inside and shop. So feel free to use code HOT15 to get a 15% discount on any purchase at TheRustedChain.com. Hot enough to blog hop and enter giveaways. A $30 gift certificate to TheRustedChain. I don't normally do this, but the heat's gettin' to my head. I'll give you lots of ways to enter this time. 1. Leave a comment, telling your favorite thing about summer. That's a lot of ways to win! I'll draw a random winner Saturday, June 19.
my favorite thing about summer is all the family outings we can have because the kids are off from school. the Philippines has wonderful beaches so we like to spend days in the beach. I love to go to the beach with my family and enjoy the nice weather. Cute pics! My favorite thing about summer is just spending time in the yard with the family. Oh, with a Sonic happy hour drink. I love Summer for the long, long days of sunshine! And the sweet summer corn that grows a few miles away. And peaches. And....I could go on. My favorite thing about Summer is hanging out with my kids! I joined the facebook like page. I love hanging out at the pool all day during summer, taking pictures of the beautiful flowers, and drinking Slurpees like there's no tomorrow. I already like you on Facebook. Does that count? I love summer nights listening to a local band watching my daughter dance to the music. I joined the facebook like page! Becky, those are such fun pics. Reminds me of a much simpler time... being a kid. I am a bit confused about the entries since some did it differently. Did you really want us to comment twice for each thing we did or did that include the original comment? Thanks for the giveaway. Love your summer brain! I already "Like" you on FB! I LOVE LOVE LOVE not having a routine with the kids. Sleeping in ,going to the pool, I could go on and on. Summer Rocks! my favorite thing about summer is the smell of fresh cut grass !!!! My favorite thing about summer is the fact that it stays light so late! Swimming, BBQ, Parties, 4th of July, cute clothes, ... how can I choose one favorite?? I used to hate the heat, but now I am just happy for the sun. Swimming is my favorite thing!I always have friends that live in apartments with pools and boy I love to be invited for a good swim! Summer is the season of brightly colored flowers, juicy fruits and fluttering butterflies. 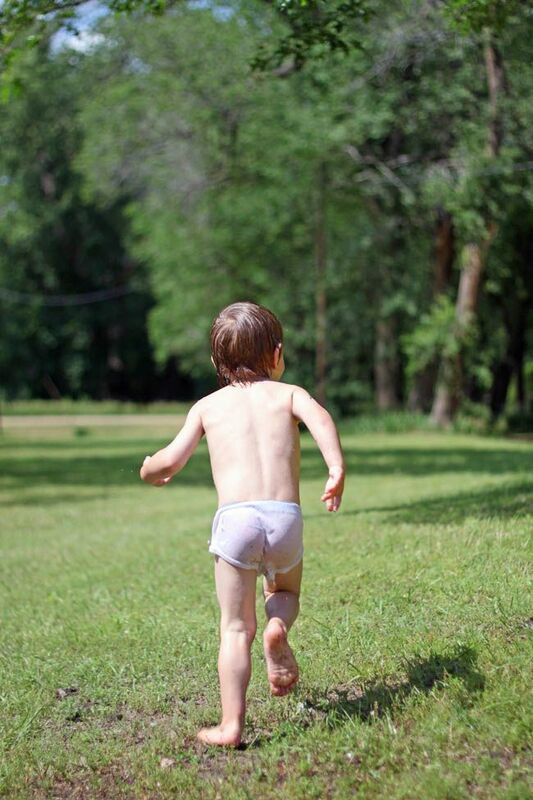 One of my favorite things about summer is that there are no time constraits! We can join daddy on his job... Right now we are in a hotel in Reno because we have no time constraints! Love it. My favorite thing about summer is getting to spend quality time with my children. Right now, we are making mini scrapbooks! Having just ice cream for dinner. my favorite thing about summer is seeing my kids' little feet in flip flops and sandals! I also love taking them to the pool and the beach. I'm a fan of TRC on facebook! My favorite thing about summer is NO SCHOOL!!!!!!!!!!! I have appro. 2 1/2 months off to do WHAT I want to. YEA! My favorite thing about summer is being able to ride on the Harley with my husband! Okay, I'm leaving a comment because that's what I do. My favorite thing about summer? Hmmm... I'd say going to the drive-in movies with my family. Fun! Gardening! I love seeing what I plant grow. Love the pictures! It makes me wish summer would hurry up and get her in the Pacific Northwest. I love the beach, going to my family reunion, and just hanging out on the desk chatting with friends and family. We put your give away up on Come Junk With Us. My favorite thing about summer is the sunshine! Being from California, it's amazing to just put the windows down and drive. My favorite thing about summer is the cute little tan lines my babies get from playing out in the pool. Their little white bums!! Its so adorable!!! I blogged about you here. I am @theheythere on twitter. When I shared you and posted on my facebook the word verification was "have snakes" how weird is that??? My favorite thing about summer is the smell of honeysuckle in the breeze! Going to the beach & camping with the fam...oh and reading a good trashy novel...I call it "The Summer of Trash!" My favorite thing about summer: lime popsicles! My fave about summer is the fresh berrie! YUM! My favorite thing about summer is sitting on the porch after a storm enjoying the rain cooled air! The smell of freshly mown grass - and I like the sound of the mowers in the neighborhood! not freezing my bootie off is my favorite thing about summer...the beach is #2! My favorite thing about summer is the sweet smell of the air in Colorado, and eating juicy watermelon on a picnic. My favorite thing about summer is the fire flies! Just one thing?! Oh man! I think this summer my fav thing is going to be watching my Monkey play at her Nanas new house at the retirement park. Swimming in the pool or lake, fishing, riding in the golf cart (Yup, my Mum is THAT lady...lol). Its her first year walking and playing so I should have lots of awesome memories this year! Our favorite thing to do in the summer time is meet up with our playgroup friends and go to the FREE movies our local theater has during summer time. I posted about the giveaway on my facebook wall. My favorite thing about summer... it is off-season in south Florida. I can stay in a free "hotel" (family's homes) and enjoy the beach in peace and quiet. Heat doesn't bother me... it is the cold that causes me to go into hibernation! I love enjoyed iced and frozen beverages without guilt, for the purpose of cooling off! I've been a fan of your facebook site, does that count!?! My new found summer favs after a trip to the BWCA last summer, canoeing and kayaking...yes, even in KS. facebooked a link to you. posted your link on facebook! My favorite thing about summer is going out for ice cream! My favorite thing about summer is spending quality time with my kids and not stressing over homework, backpacks, lunches, etc. We just enjoy each day as it comes...love that along with the warm weather too..just the best! Thanks for the chance to win...I'm recently unemployed and would love another one of your necklaces! 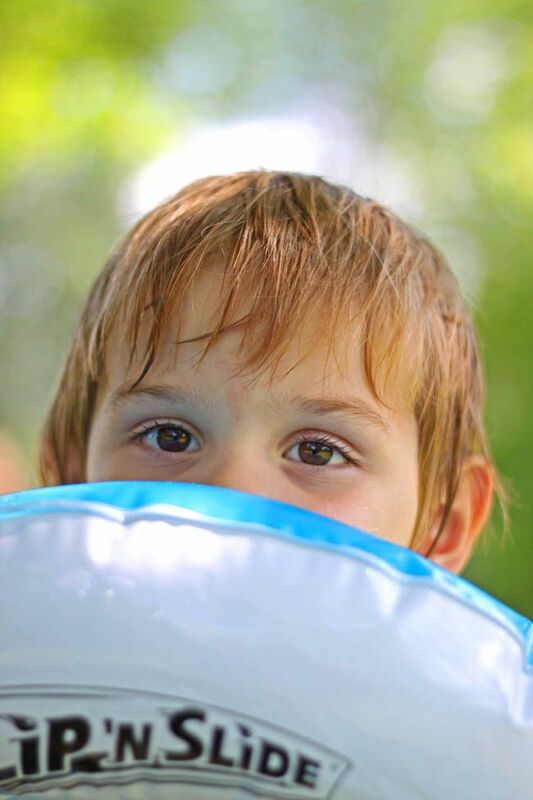 My favorite part of summer is spending time outside with my kids- waterguns and shaving cream fights have topped the favorites so far this summer! summer = happy, fun swimming! yeah!! i love it! i am part of your fb like page! My favorite thing about summer is making ice cream, ice cream float, and icees for gatherings with my friends! My favorite thing about summer is getting to spend time with my daughter, without having to worry about three feet of snow on the ground. My favorite thing about summer is baseball games! Favorite thing about summer: popsicles. 'Nuff said. My favorite things about summer are the summer fruits, especially strawberries, and outdoor BBQs. One of my favourite things is lazy Sunday afternoons in sunshine enjoying a bbq with family and friends. you had to make this hard, didn't you...uh, my favorite thing about summer is warmth, sun, pool, late nights, late mornings, flowers blooming, bugs in the grass, the smell of freshly cut grass...you know my favorite thing about summer is...THAT IT IS SUMMER! Hello sweet Beki - Great photos! 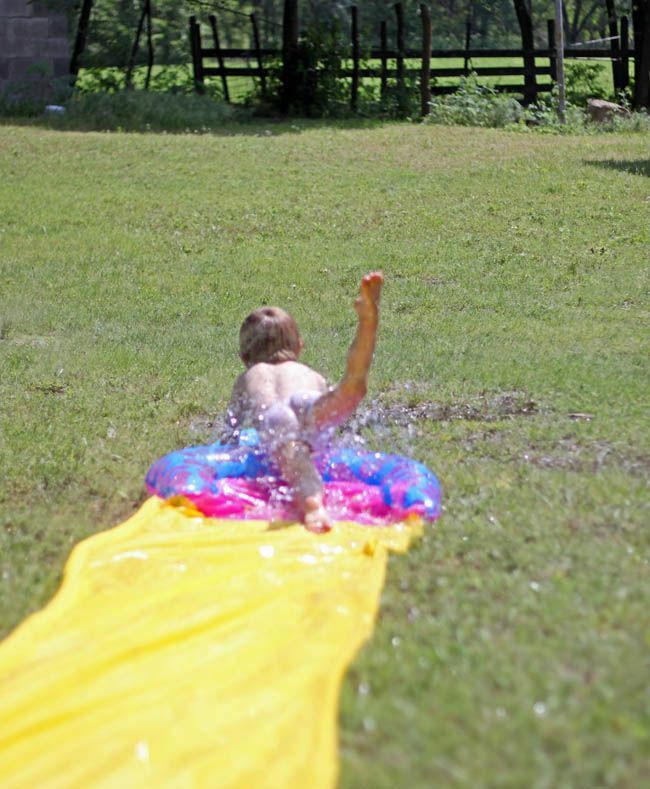 Slip N Slide in your undies. Love it. Oh the joys of childhood. I'm not entering the fabulous giveaway because I already won from the CSI Project...that wouldn't be fair, right? Just stopped by to say hello! I love the sunshine, the beach, and trips to Disney World!